I get just as excited as my kids when I receive any communications from the International Space Station. This past week, we fit an ARISS contact fit into our hectic schedule during lunch break. I gave both of my kids a handheld radio and we all listened together as the ISS passed overhead. Right on schedule, we heard NA1SS, but it sounded like they were struggling to make contact with KD2IFR at the Central Islip Union Free School District in Central Islip, NY. Still…we heard an astronaut live, so mission accomplished! Thanks for posting that video, Mark. 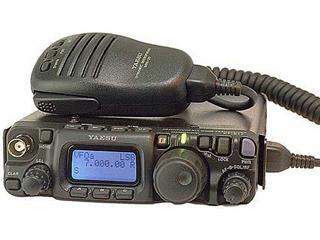 By the way, I love your FT-817ND setup! King’s High School strongly encourage their girls to develop their interests both inside and outside the classroom. This culture of empowerment led one of their girls to apply to ARISS Europe (Amateur Radio on the International Space Station) for a highly prestigious link-up to the International Space Station. If you missed these ARISS contacts, no worries! Check out the ARISS “Upcoming Contacts” page where future ARISS QSOs are listed. ARISS contacts are a great opportunity to show kids of all ages what you can hear with even a modest radio! This entry was posted in News, Radios and tagged Amateur Radio on the International Space Station (ARISS), ARISS, BBC, International Space Station, Mark Hirst, NA1SS, Southgate ARC, Videos, Yaesu, Yaesu FT-817nd, Yaesu FT2D on April 21, 2018 by Thomas.